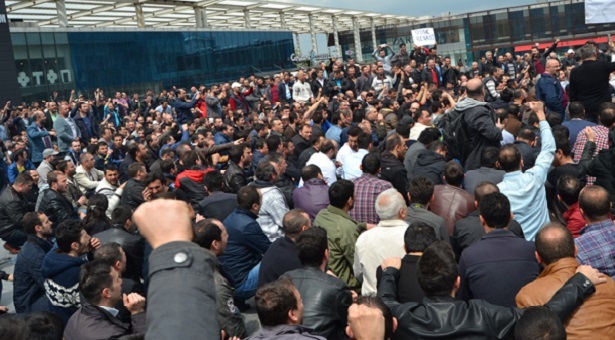 The Renault autoworkers in Bursa, Turkey, halted production on May 15. Tofaş workers, who produce Fiat cars, stopped working the following day. The wildcat strikes spread to six other factories in the metal sector in Bursa. 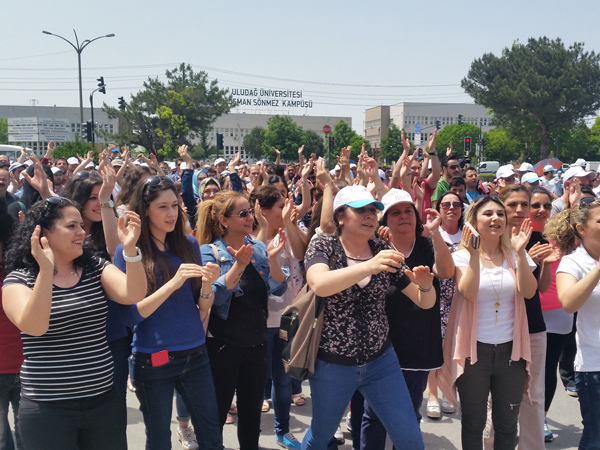 Several other factory workers in Bursa, Kocaeli, Ankara, and Sakarya either went on strike or protested against their employers. More than 20,000 workers have taken strike action, and the Renault workers are still not back to work as this paper goes to press. The striking workers have three major demands: First, they want a wage increase. 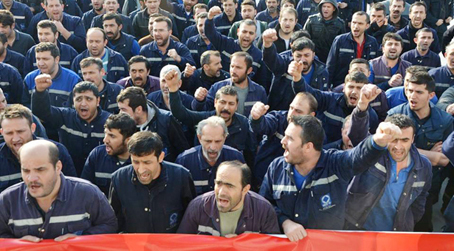 Autoworkers in Turkey have experienced sharp wage cuts in recent years. The average hourly wage in the sector is 3.38 USD. Real wages (adjusted for inflation) declined by 8.2 per cent since 2009, while productivity increased annually by 3.4 per cent in Renault and by 8.1 per cent in Ford between 2010 and 2014. Second, the workers want to expel the bureaucratic, right-wing, and mafioso-controlled Türk Metal trade union from their factories. This union fully collaborates with the ruling neo-liberal Islamist Justice and Development party. The workers want to elect their own representatives. And third, they want a guarantee that there will be no punitive layoffs. Retribution is not uncommon, as the right to strike is not well respected in Turkey. With this series of strikes, the Turkish working class finally dominates the scene politically. In the summer of 2013, protests to challenge an urban development scheme in Istanbul sparked a wave of demonstrations all around Turkey, involving millions of protesters. Despite workers’ participation in these protests, working class organizations maintained a low profile, and working-class demands did not surface. Now, on the second anniversary of this popular revolt, the working class is beginning to rise against their corrupt union leaders and their bloodthirsty bosses. Previous PostSocialism 2015 Conference PicturesNext PostQueer Liberation through Socialist Revolution!